Automotive products require highly-engineered, high-quality product and packaging solutions. For automotive OEMs, dunnage trays that offer durability and reusability, ease of loading/unloading, and automation-functionality are necessary. For the automotive aftermarket, plastic blister and clamshell packaging is needed. Dordan has 60-years experience designing and manufacturing thermoformed packaging solutions for the automotive OEM and aftermarket industries. Dordan is an engineering-based designer and manufacturer. Our expertise lies with helping clients solve packaging and production problems. All automotive OEM and aftermarket packaging is designed and manufacturerd with our ISO 9001:2015 certified quality management system, allowing for the production of high-quality thermoformed parts and packaging in quick turn-times at competitive pricing. 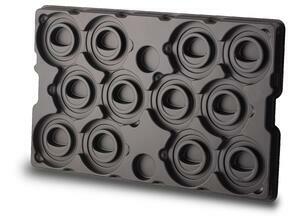 For automotive OEMs, dunnage trays optimize assembly, manufacture, and shipping operations. Designed to work with new and/or existing automation, work-in-process trays are reusable/returnable and stackable, offering supply-chain savings. 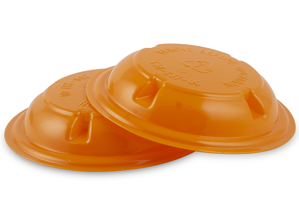 For the automotive aftermarket, Dordan designs plastic clamshells, blisters, and thermoformed trays that help protect and sell products at retail.